My name is Andrea Baer. 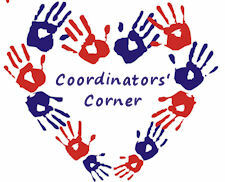 I am the local Lead Coordinator for Mended Little Hearts of Southwestern, PA and I serve on the National Steering Committee as the National Growth and Development Coordinator. I have been a coordinator for almost 3 years and have served on the National Board for 2 years. My journey to Mended Little Hearts started on St. Patrick’s Day 2009. I went to the hospital to deliver my 3rd child. Not expecting anything but typical delivery pain. Boy was I wrong. 6 hours after the birth of my son Trenton, we were given the news that he had a Congenital Heart Defect and would need open heart surgery to survive. While everyone was drinking green beer and singing Irish tunes I was trying to comprehend how this could have happened. I can remember thinking to myself while the doctor was talking to me that this really had to be a mistake. That these kinds of things don’t happen to people like me. A Baby with a heart defect? My baby? It was overwhelming. I was afraid, hopeless and alone. I couldn’t even spell or say the name of this “defect,” how on earth was I going to be able to learn about it (OK, I’ll be honest….I really wondered how I was going to Google it when I got home). I did finally learn the name and even how to spell it. I have learned more about the Heart then I ever thought possible. We spent the next 3 months trying to “bulk up” our little man and manage meds while waiting for the surgery. I met an online mom during my pregnancy who was expecting at the same time. 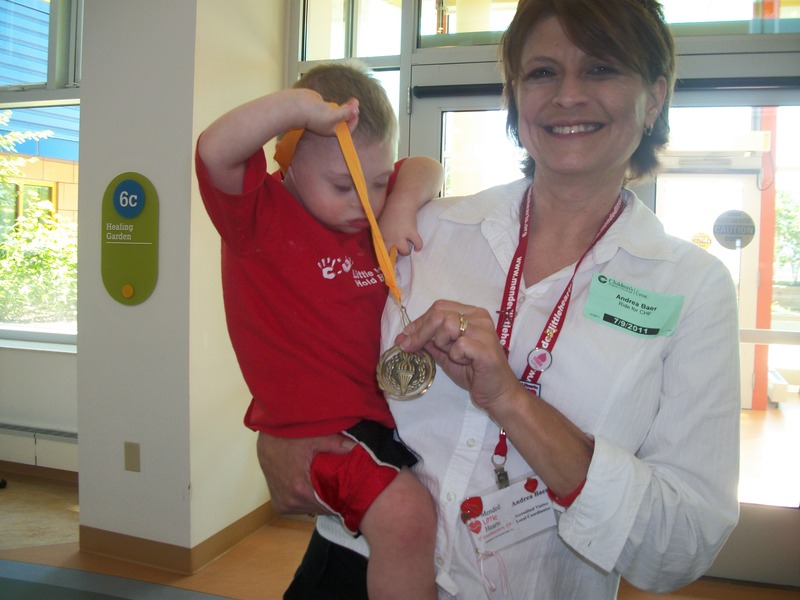 When I opened up to her about my son she immediately responded….”My older son has a CHD, we had open heart surgery too! If you have any questions let me know.” Really? Someone else? Really? How awesome that day was. I wasn’t alone anymore. There was someone else who survived this! That gave me so much hope. She was a member of Mended little Hearts and although she was in another state, half way across the country, the friendship we developed was amazing. She was the first person to text or call every morning at the hospital….”How’s our rock star today?” she would say. She Fed Exed me a Care Bag while we were in the hospital! Opening that Care Bag in the hospital was so awesome. I felt so connected. A handmade blanket, a journal, a wristband, and all kinds of other goodies! But most importantly it was full of love. Love from one heart mom to another! So, as soon as my son was healthy and recovered from his heart repair my husband Brett (Who has been my sidekick in this adventure and is a coordinator for our local group as well) and I decided that we needed to bring Mended Little Hearts to the Pittsburgh area. Our goal is that no other family in our area is going to feel alone if we can help it. The support, the love, and the friendships are that important in this journey of CHD. We are blessed to be serving the CHD community here and blessed to be on this journey with this group of amazing individuals, from not only the Southwestern, PA area, but the entire country. Mended Little Hearts is so much more than a support group. We are a family.